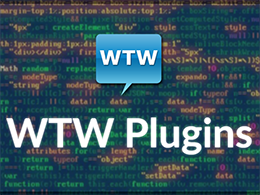 Plugins made for WTW communicator (wtw.im). They were written with C++ and WinApi library. Currectly there are radio, snipping tool with screen capture and smaller utilities set for communicator. These plugins are written with thinking about simple interface, optimalization and global hotkeys. Plugins have also auto-update feature. More details directly on plugins pages.